This is a guest post by firearms legend LtCol Freddie Blish, USMC (Ret). Freddie has seen it all and done it all - from the Marine Corps to becoming a Range Master at Gunsite Academy to working at LaRue and Aimpoint. Currently, Freddie is working as General Manager at one of the premier gunsmithing facilities in the world - ROBAR Companies based in Phoenix, Arizona. Malfunction occurs when a part of the rifle fails to operate according to the specification. Anytime a rifle has a malfunction it will need to be fixed by an armorer or a qualified individual. Stoppage occurs when something interrupts the cycle of operation (hence stoppage). A stoppage can easily be fixed by the shooter and does not require an armorer or qualified individual to fix it. The point is that shooters need to understand the Cycle of Operation of their semi-auto pistols, rifles and shotguns, in order to properly understand what type of Malfunction or Stoppage has occurred. Otherwise the cause cannot be properly attributed nor corrected. The majority of the stoppages that occur with semi-auto firearms are magazine related. a. Feeding: Once rearward motion causes the slide or bolt carrier group to clear the top of the magazine, the expansion of the magazine spring forces a new round into the path of the slide breach face or bolt. After the recoil spring or action spring overcomes and absorbs the rearward motion of the slide or bolt carrier group, it expands and sends the slide or bolt carrier group forward with enough force to strip a round from the magazine and start pushing it up the feed ramp. b. Chambering: As the slide or bolt carrier group continues to move forward, pushing a fresh round in front of it, the face of the slide or bolt thrusts the new round into the chamber. The extractor claw grips the rim of the cartridge case. On bolts, the ejector is forced into its hole, compressing the ejector spring. c. Locking: As the slide or bolt carrier group continues to move forward; the locking lugs on the barrel are forced up against the locking lugs of the slide, or the bolt-locking lugs are forced against the barrel extension and the bolt cam pin is forced along the cam track, then the bolt rotates and aligns the bolt locking lugs behind the barrel extension locking lugs. The weapon is ready to fire. d. Firing: The hammer releases and strikes the head of the firing pin or the disconnector releases the striker, driving the firing pin into the round’s primer. The primer ignites the powder in the cartridge. Gas generated by the rapid burning of powder propels the projectile through the barrel. The slide and barrel locking lugs disengage and the slide begins to move rearward or after the projectile passes the gas port, a portion of the expanding gas enters the gas port and gas tube. The gas tube directs the gas rearward into the bolt carrier key and causes the bolt carrier to move rearward or directs the gas rearward against a piston that then causes the bolt carrier to move rearward. e. Unlocking: As the slide moves rearward the barrel is forced down by a link or cam on the barrel and frame to allow the barrel to unlock from the slide. Or as the bolt carrier moves to the rear, the bolt cam pin follows the path of the cam track located in the bolt carrier. This causes the bolt assembly to rotate until the bolt-locking lugs are no longer aligned behind the barrel extension locking lugs. f. Extracting: As the slide or the bolt carrier group continues to move to the rear, the extractor claw withdraws the cartridge case from the chamber. g. Ejecting: If the ejector is located on the frame it is fixed in place and does not move. If it is located on the bolt face it and the ejector spring will get compressed into the bolt body by the base of the cartridge case. The rearward movement of the slide or bolt carrier group allows the nose of the cartridge case to clear the front of the ejection port. At that point, on frame mounted ejectors, the rear of the cartridge case will impact the ejector. On bolts the cartridge case is pushed out by the ejector when the ejector spring decompresses. h. Cocking: Continuing its rearward travel, the slide or bolt carrier overrides the hammer, forces it down into the frame or receiver, compresses the hammer spring or striker spring, and causes it to engage the lower hammer hook or disconnector. With a better understanding of how a semi-auto firearm functions, let’s discuss Malfunctions and Stoppages. It is important to know what type of Malfunction or Stoppage is occurring so that the shooter and armorer or gunsmith to properly diagnose what is occurring, why it is occurring, and how to properly correct the problem. Type I – Failure to Feed or Failure to Fire. Failure to feed can be the magazine, the feed ramp needing polishing, or the chamber being too tight. Failure to fire is most often ammunition related. Type II – Stove Piping – Vertical or Horizontal. Stove Piping is often a bad ejector or an interruption in the cycle of operation. Type III – Failure to Extract or Double Feed (two live rounds trying to enter the chamber).Typically with handguns it is a failure to extract, meaning that an empty case is stuck in the chamber and a live round is trying to chamber. Double feeds typically only occur with staggered column magazines in semi-auto rifles. Type IV – Failure to go fully into battery. This is usually an obstruction in the chamber or damaged ammunition. Type II – Failure to Eject or Stove Pipe – 1) Broken Ejector, 2) Weak Extractor not holding the round against breach face until meets empty case meets the ejector, 3) Broken or Weak ejector or ejector spring not pushing firmly enough against the empty case to eject it from the receiver. While the above information covers most of the Malfunctions and Stoppages that do occur, it doesn’t cover everything. However, armed with the aforementioned knowledge a shooter can either resolve the Stoppage on either the one way range or the two way range, or be better able to explain what is occurring to their firearm to an armorer or a gunsmith. Finally, a firearm, much like an internal combustion engine, requires lubrication to function properly. While ROBAR’s superb NP3 and NP3 Plus platings help minimize the requirement for lubrication, it is always wise to use a quality lubricant like SEAL1, RAND CLP, EWL Slip 2000, MPRO7, etc. on your firearm. 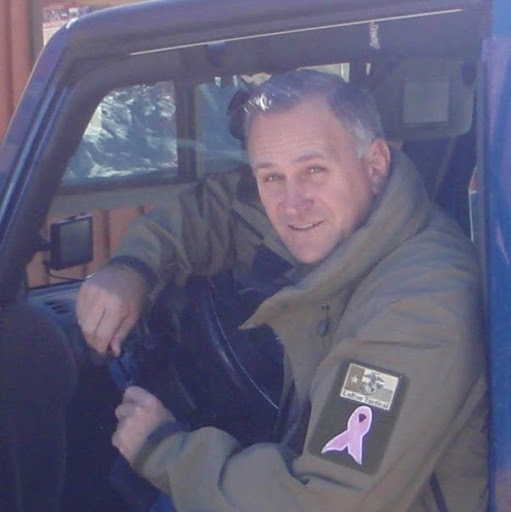 LtCol Freddie Blish is a veteran of the United States Marine Corps, a former Range Master at Gunsite Academy, and an industry insider who has been a Director at LaRue Tactical and Aimpoint. Freddie is currently the General Manager of ROBAR Companies - one of the finest gunsmith operations in the world.